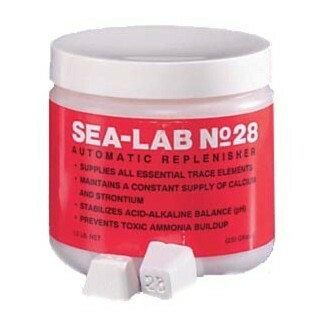 Sea-Lab #28 restores and maintains the concentration of calcium, strontium and all trace elements at the same levels found in the sea, automatically. Formula #28 always works, and cannot be overdosed. This is not a slow-dissolve or time-release product. It dissolves only to replace depleted elements.